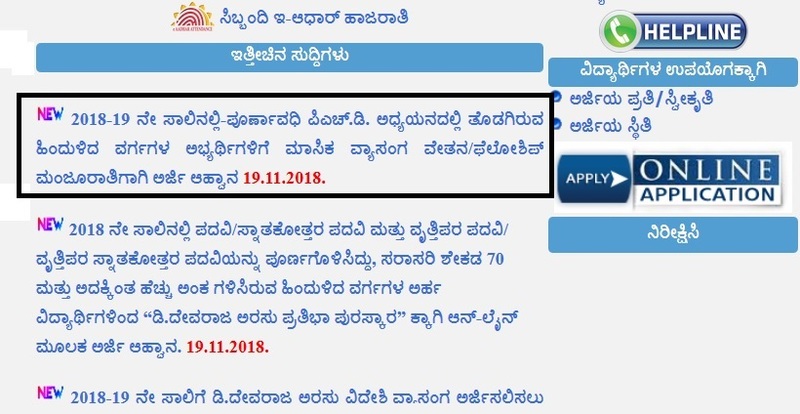 Backward Classes Welfare Department, Karnataka invites applications for Full-time Ph.D. monthly scholarship / fellowship approval for candidates belonging to Backward Classes engaged in the study. ** The citizen of India should be a permanent resident of Karnataka. ** Students belongs to the Backward Classes of the Government of Karnataka should be included in Category -1, 2A, 3A or 3B. ** Full time (Full Time) PhD study should be engaged in statutory universities / subordinate institutions in Karnataka. ** Maximum age of the candidate is 35 years. ** Only two male children of one family deserve this project. But this restriction does not apply to girls. i. Must have at least 55% of the postgraduate degree. ii. Must be registered for Ph.D program under Research Guidance at University / Official Institutions. ** Practice-1 – Rs.4.50 Lakhs. ** Pre-II (A), 3 (A), 3 (B) and Other OBC – Rs.3.50 Lakhs. 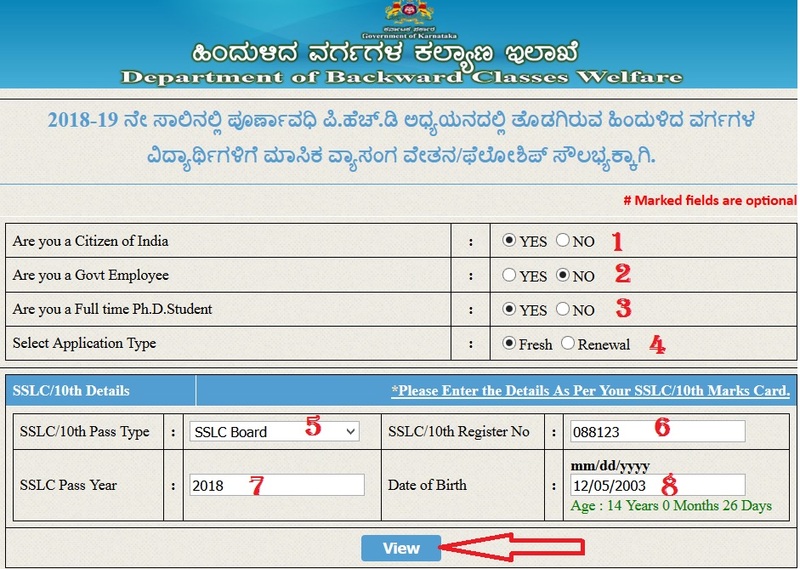 Step 1 : Go to the official website of BCWD Karnataka through the URL provided above. Step 2 : Then read the instructions carefully and tick the check box to accept the terms & conditions. Documents to be scanned on PDF Format with an online application. (Each record must be at maximum 300KB). ** SSLC / 10th Class Score. ** Post Graduate Certificate (Convocation Certificate). ** Ph.D. Registration Fee Payment Vouchers. ** A certificate of prescribed format from the institution / college / university / official institution concerned with not being selected for any other source. ** The latest portrait of the student’s passport size and the scan below the student’s signature must be uploaded at the JPG Format (30KB). ** The first page of bank pass book in the name of the student (bank name, bank account number, bank branch and IFSC code, MICR code information) should be scanned and uploaded. ** Students who have studied Class 10 in CBSE / ICSE are not available to apply online. If you are unable to submit an online application go to the District Backward Classes Office to apply for the fellowship.